Throughout my life I have undergone a transformation from one being served to one being of service. I wonder, am I, as a formerly incarcerated Pacific Islander, who as a Juvenile was tried as an adult and served over 23 years in detention facilities, an aberration? Am I an outlier that represents the silenced experiences of incarceration and transformation within the Asian and Pacific Islander histories in America? 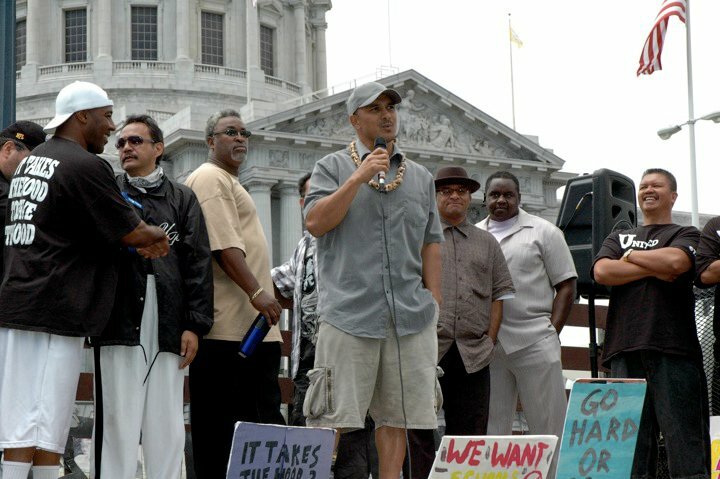 Spend a day with some of the men of APSC’s ROOTS program in San Quentin, or the men and women of Roots 2 Reentry, and you will, in my humble opinion, walk away with a glimpse of the truth: I am not an aberration! I am not an outlier! Given an opportunity to thrive as accepted members of our communities, we flourish like flowers in the sun. The key word here is “opportunity”. The obstacles that contribute to the nearly 65% recidivism rate for California parolees comprise a systemic impediment to opportunity. The situation we have is one in which incarceration and stigmatization prove beneficial, even profitable for some, while leaving families and communities wrecked by the consequences of highly racialized “tough on crime” policies. In turn, we have seen an increase of Asian and Pacific Islander youths and adults, our brothers, sisters, cousins and parents, trapped in what many have described as California’s failed criminal justice system. But, it is here in this capacity that I can be of service. And it is in the same way that we in Asian Prisoner Support Committee, and in the San Quentin ROOTS program, and in Roots 2 Reentry, can be and are of service to our communities. A recent community immersion opportunity I had with the men and women of Roots 2 Reentry highlights what it means for us to be of service. Together we volunteered to register people to vote during a Iu Mien community event in East Oakland and at Oakland’s 2014 PRIDE event. Encouraging others with the right to vote to exercise a right that we have legally been stripped of ourselves, encouraging others to exercise their right to be heard and to hold our public officials accountable to the communities they serve–this for me is how we are of unique service. Similarly, joining the Native Hawaiian and Pacific Islander contingent in the March for Real Climate Leadership and leading workshops about mass incarceration with the younger generation–this is how we are also of service. Being an accepted member of our families and community, having a vested interest in community, and being supported by and being of service toward the long-term health of the communities we live in represent our overarching goals. The means we possess for doing all of this are simple: Being of service.